If you can make it through the whole of ‘If You Leave’ without crying, you have a heart of stone. As the evocative guitar lines of opener Winter shiver, you’re immediately plunged into another world of serene contemplation. Whether sat in the office, a bustling tube or walking down a busy street, nothing else matters but the voice of Elena Tonra. Frail and fragile, her singing is the essence of vulnerability. This fragility is mirrored by the heavily reverbed, delicate electric guitar playing. Strings are gently plucked giving the music room to breathe, the space between each note and chord filled with shimmering echoes like ripples in a pool, imbued with emotive weight from Tonra’s lyrics. Percussion has been given greater prominence since the band’s previous EPs – punching through on Human urging us to “feel something” and skittering on Shallows. Though some tracks bring variation, such as the acoustic start to Human, the music always slowly builds, layering liquid guitars and vocals to a tumultuous, rapturous chaos for a wide ranging dynamic. With each track following a similar structure, the album does become predictable and sags a little in the middle. Yet Tonra’s elegiac lyrics are utterly heart-breaking and captivate throughout the album. Most of the songs deal with loss in a bleak but touching manner. On Tomorrow she begs us “don’t bring tomorrow”, whereas Human ends suddenly with the line “but I think I’m dying here”. This might seem melodramatic, but the reflective mood and haunting nostalgia give a reverent, almost spiritual feel. Youth marks an early highlight as the crashing dissipates at the punchline “And if you’re in love you are the lucky one, ‘cause most of us are bitter over someone” before catapulting us back into the storm with its accusatory "you caused it". It’s Smother, though, that provides the most painful lyric of all: “I sometimes wish I’d stayed inside my mother, never to come out”. 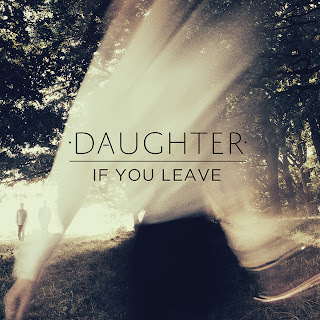 Listen: 'If You Leave' is available from the 18th March.